Pat practices primarily in the area of litigation with an emphasis on personal injury law and structured settlements. Pat has handled numerous fatal accident claims and is one of the few lawyers in Alberta who has conducted a Civil Jury Trial. Pat has also handled cases involving product liability litigation, construction litigation and fire loss litigation. Pat is currently recognized in the Canadian Legal Law Expert Directory as a Leading Practitioner in the field of Personal Injury. 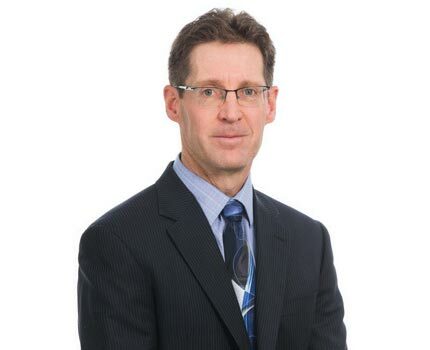 Patrick Feehan was selected by his peers for inclusion in the Best Lawyers in Canada in the field of Personal Injury Litigation law every year from 2012 to 2019. He is also recognized by Best Lawyers in Canada in the field of Medical Negligence for 2017, 2018 and 2019. This morning, two lawyers and seven staff members volunteered at Edmonton Meals on Wheels. We chopped, sliced, and assembled meals for our community. Edmonton Meals on Wheels is a local non-profit and registered charitable organization that provides home-delivered meal and food services to a diverse mix of people. On any given day they need up to 45 volunteers to work in the kitchen. If you can help out visit the link below.